These two teams met in Week 1, when the Birmingham Iron absolutely crushed the Memphis Express, 26-0. The Birmingham Iron pulled off a dramatic last-second victory over the San Diego Fleet in what was arguably the best game of the season, 32-29. After San Diego took a 3-0 lead, Birmingham responded with two touchdown passes by quarterback Luis Perez to give them a 12-3. After giving themselves a 21-9 lead with a 23 yard field goal by Nick Novak and a 2 yard touchdown run by Trent Richardson, San Diego would battle back to take the lead heading into the fourth quarter. 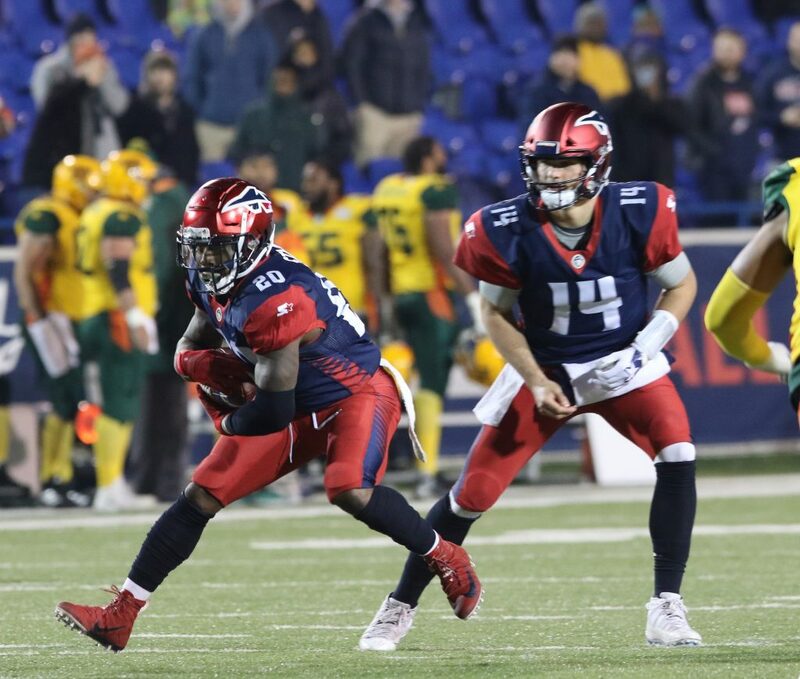 Perez would come up big again, completing a 17-yard touchdown pass to L’Damian Washington and converting the two-point play to give them a six-point lead. San Diego would tie the score with a little under five minutes left in the game, but Novak would drill a 44-yard field goal with three seconds left in the contest to give Birmingham the victory. Things did not go well from the start. Salt Lake would jump out to a 16-0 first quarter lead and would add a field goal to take a 19 point lead before Memphis would finally get on the board. Austin MacGinnis connected on 31-yard field goal before Brandon Silvers threw an 11-yard touchdown pass to running back Zac Stacy to cut the deficit to 10. However, the Express would get no closer as they would fall by 13. Birmingham is favored by three in this contest, and that looks like a good bet. Memphis has yet to figure out their quarterback situation, and Manziel could very well get the start. However, even with his athleticism, there are simply not enough playmakers here to be a difference. Meanwhile, the Iron show the Memphis is no match for them with a crushing early-season victory. Perez is coming off of his most impressive performance of the season, which should help to catapult him to bigger things. Birmingham will pull this game out. If we really thought that either Silvers or Hackenberg would be under center we would definitely be going under. However, there is no doubt that Manziel will get some action, if not start the game. That makes this a little bit greater chance for a higher scoring affair. We expected Birmingham to score at least 26 points in this game, but now give Memphis 17, so take the over.